As soon as the weather gets colder, i immediately start thinking about warm and cushy sweaters and cardigans, even though i hated them as a child, they have always annoyed me and i would act like Sue from the movie Curly Sue when they put tights on her. But, times have changed, maybe because i don’t live in warmer parts of my country anymore, or because i’m all grown up. I always look for perfect pullovers that look great, made of wool, not with synthetics which are never good, even with a load of deodorant. Being able to style them and not look huge and blocky is sometimes a difficult task. 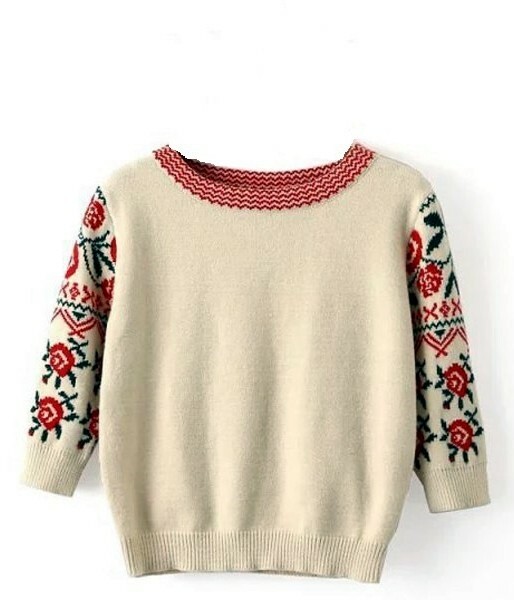 We will give you a feew tips which we always use when wearing pullovers. If we wear a pullover that is really cushy, to balance it, we love to wear leather pants or tights. When wearing that combination, textures will play along making the outfit to look more interesting. Crop pullovers are very trendy as of late, and to emphasise your figure, you can wear them with thick tights and a little dres or a skirt. This time you can play with layers to break the winter dullness. We also must mention sport pullovers, and pullovers with prints which look great on absolutely everything, from daily outfits, where you can combine them with a-line skirts or overalls, or you can incorporate them in your job outfit. They are a great clothing item for using your creativity with daily outfits. 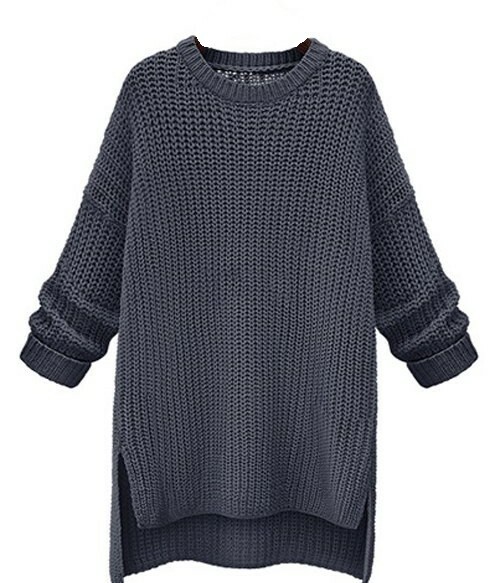 All this types of pullovers that are mentioned, we found on sammydress.com at an affordable prices, and even though we never shopped there, we must admit that they look really tempting. We found four pullovers that should be in every closet. Crop (buy here) The shop is full of beautiful crop pullovers, we choosed this one because of it’s etno pattern, which makes it stand out. It will look great with black denim a-line skirt, tights, oxford shoes and a little coat. 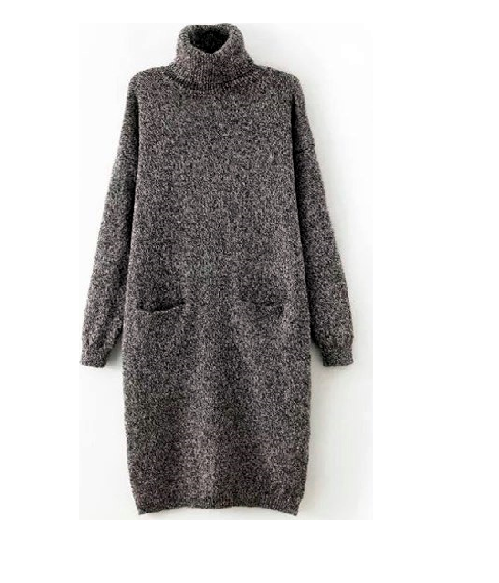 Dress (buy here) A warm, thick woolen dress is our mom’s favourite clothing piece during the winter. We had to mention her. She says that it’s a perfect look with boots and a coat. And if mom says so, it has to be true, right? „Sporty“ or fun (buy here) These are our favourite ones. From the wast choice we barely choosed one, maybe because they look great with absolutely everything. During the day with jeans, and by night with suits or skirts. We really like the trendy colors on this one, whic hmakes it easy to wear. Did you shop on sammydress.com? How do you like our choices? Do you wear pullovers like we do? Chunky sweaters are my favorite go to in fall/winter. 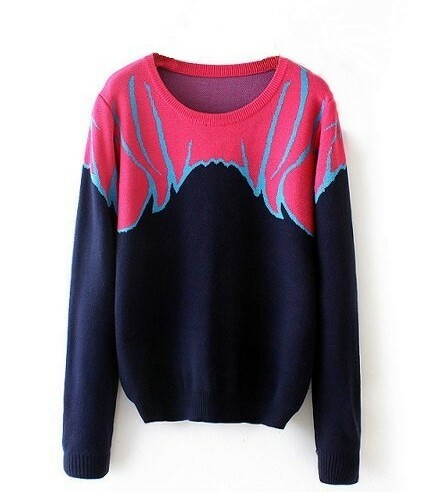 I love the oversized pullover style! As well as the cropped style, which can be paired with a lot of dresses to diversify the styling options.